Ever wished for "bionic" ears? 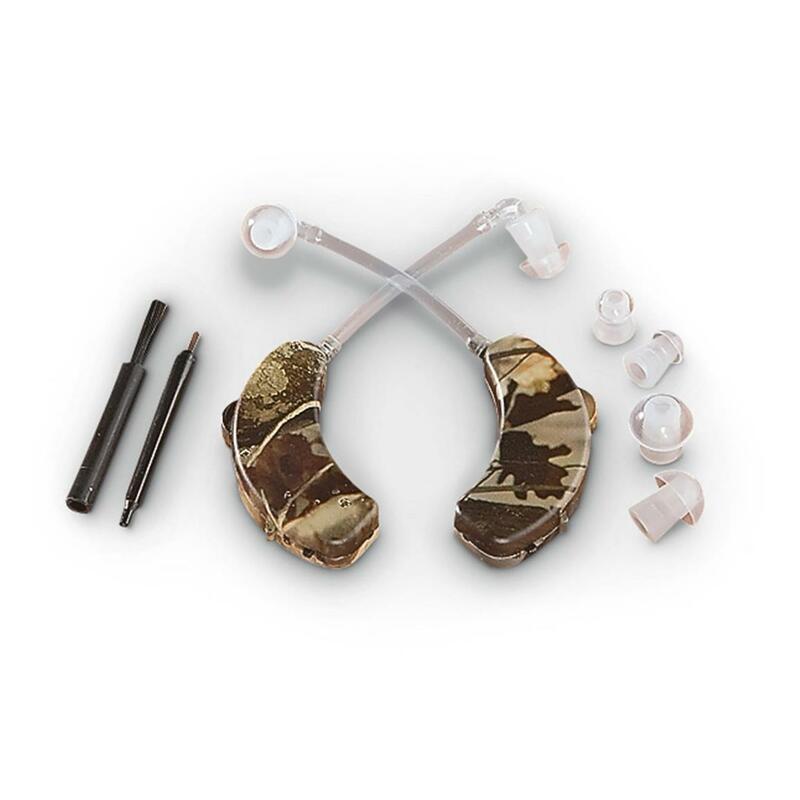 Walker's Ultra Ear Hearing Enhancers boost your hearing to near super-human levels. Lightweight, comfortable design fits neatly behind the ear. Delivers a clean, digitally amplified version of your environment directly into your ear canal. Now you can "pick up" on deer snorts, antler rubs, grunts and game crashing through brush and more. Could give you the hunting edge toward bagging success. Also great for detecting unusual bird species by their songs and chirps. Did you hear that? Amplify the sounds of the woods and muffle gunfire! The snap of a twig is a tell-tale sign of an approaching whitetail. Without the keen hearing from these Ultra Ear Hearing Enhancers, you could miss your opportunity. Hearing Enhancers also have a built-in noise gate, which has some minor reduction and will cut off after sounds of 85db or higher. Hear clearly, place your order for years of service! 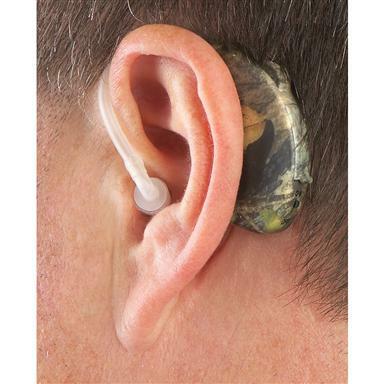 Walkers Ultra Ear Hearing Enhancer, 2 Pack is rated 3.8 out of 5 by 131. Rated 5 out of 5 by Carpie from Awesome !!!! & also a great price, you can't beat these !!!!! Great product & really helped hear far off gobblers here in Pa. Rated 5 out of 5 by Uncle Al from If you have ears, listen... These are the by far the best (affordable) hearing enhancement aid for the woods. Once the correct ear bud is selected, they are very comfortable for extended wear applications. Rated 5 out of 5 by Willie TX from I CAN HEAR THROUGH IT. GREAT. Rated 3 out of 5 by pekoe42 from so far so good Well, I paid $43.98 and now I see after I returned the pair (one of witch didn't) work the price has dropped to around $34. The second pair does however work. Its too early to tell how well. Keep your bear spray within easy reach! For the landowner who doesn't tolerate any funny business! Signs measure 12" x 12"